There are eight matches currently scheduled to occur at WWE Survivor Series 2017. At some pay per views, there are matches where the results don’t have significant implications one way or another, but most of these matches matter, which is odd to say because there’s really only one championship on the line. Here’s what SHOULD happen in each of the matches for the betterment of the WWE. 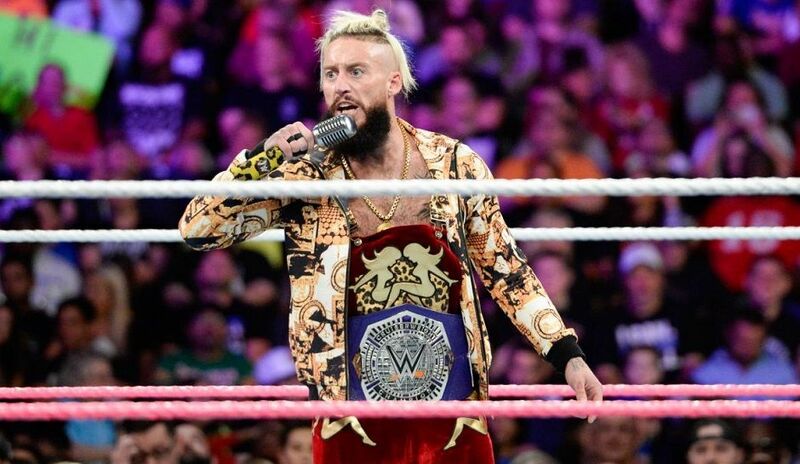 Enzo Amore needs to retain the title against Kalisto. 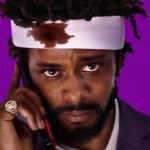 The Cruiserweight division could be one of the best parts of WWE, but they’ve had trouble connecting with large portions of the WWE Universe. Enzo Amore is great on the mic and a polarizing figure. He’s not as technically skilled in the ring as many of the competitors in the division, which is unfortunate because the matches in this division have historically been some of the most exciting on a given card, most notably as it helped carry WCW to it’s great ratings in the mid-1990s. But Enzo does do things in the ring to keep the WWE Universe interested, and to tell the story through his actions, which ultimately helps the feud and helps interest in the division. Kalisto should be one of the guys who helps carry the division through his technical skills in the ring, but he doesn’t need the championship to do that. He should feud with Jack Gallagher and/or Brian Kendrick to give fans another reason to tune-in. Anyone who defeats The Miz is going to get cheered, and right now, Baron Corbin does not need any positive heat. What he needs is more fuel for his frustration-fire, and that can come through losing the match here and having people taunt him for it. The Miz should eventually move up towards the main event, so he shouldn’t be losing to Baron Corbin in a match that speaks to stature. Cesaro and Sheamus need to defeat The Usos. Because of their accomplishments so far in their WWE tenure, The Usos are a high-stature team. To improve the credibility of Cesaro and Sheamus, The Bar needs to win this match to give them something big on their “resume”. This tag team is the perfect role for Cesaro and Sheamus, so build on their already-growing credibility with a huge win here. Charlotte should defeat Alexa Bliss. Alexa Bliss is a crafty competitor who uses her ingenuity perhaps more than her athleticism to win matches. She’s great at it, arguably one of the top 3 women’s competitors in the business today. Charlotte used to fill that role, but her strength is as a great technical competitor, especially when she’s not a heel. It’s been a while since Charlotte had a decent, extended push, and this would be a good addition to what she’s started by reclaiming champion status. Alexa Bliss should get another shot at Charlotte at some point, possibly at WrestleMania, because it could be a great feud, especially if it has a clean Charlotte victory to build upon. Team RAW needs to win the 5-on-5 Elimination Match. If Alexa Bliss is losing the singles match, then Team RAW needs to get the victory over their Blue-shirted counterparts from Tuesday night. That gives them cause to look at Alexa Bliss as an un-fit champion who they need to dethrone. With Asuka on the team, I’m not sure how they could have the match result in anything other than Team RAW winning, given the push they give Asuka. The New Day should defeat The SHIELD. It’s inevitable that The SHIELD will end up severing yet again, likely due to the ambitions of at least one of them. They’re each a World Championship caliber superstar, and by WrestleMania I would be surprised if none of them are in the hunt for one of the two big belts. The New Day, on the other hand, is a unit. They function as a team, and they have for years. That’s their goal, to be the best tag team possible. It’s only fitting that they get the nod. The SHIELD just reunited recently, giving a decent reason for why they might not be a well-oiled machine yet. Perhaps another trio will get involved and there won’t have to be a clear winner, but if there is, it should be the cohesive unit, not the reassembled trio of superstars. If Kurt Angle isn’t the General Manager of RAW, there’s no good fit for him in WWE. Stephanie McMahon was close to firing him on Monday, and if they lose this match, she’ll likely give him an extended Thanksgiving Holiday… which he will need to spend finding another job. This also gives Randy Orton a reason to turn heel, which he needs to do because he’s way better at being a heel than a face, and Smackdown needs another good heel. While it’s still possible to turn him heel in the midst of a Team SMACKDOWN victory, there are more options with Team RAW getting the win. 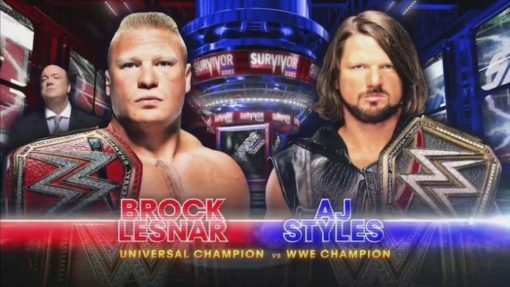 AJ Styles needs to defeat Brock Lesnar with some interference against Lesnar. Often it feels like there’s no reason to watch RAW because it’s obvious that nothing pertaining to the WWE Universal Championship is going to occur, with Brock Lesnar only showing up to a handful of pay per views per year. It’s one of the big reasons that ratings are down for the flagship show, and The Beast’s schedule isn’t going to be better in 2018, and will likely be worse. On the other hand, AJ Styles is a huge reason why Smackdown has beaten RAW quite a few times since the brand split. If there’s a shortlist of people who deserve to beat Lesnar. Although Survivor Series is one of the Big Four events on the calendar, it’s not WrestleMania, so having this match result affected by interference is acceptable. Whether it’s Samoa Joe or Braun Strowman or someone else, whoever is up next for Lesnar should interfere against The Beast. It shouldn’t directly lead to an AJ Styles victory, but it should be enough of an interference that Paul Heyman can use to explain that AJ Styles didn’t get it done on his own. And how interesting would it be if Finn Balor were to interfere, and then intimate that he was there to help AJ Styles? Maybe we even get some Bullet Club reference? That could be a huge angle heading towards WrestleMania with tons of options. Let us know on Facebook or Twitter (@GuysNation) what you think about these outcomes! 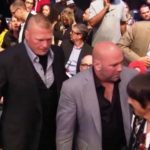 Brock Lesnar Leaving WWE. Again.